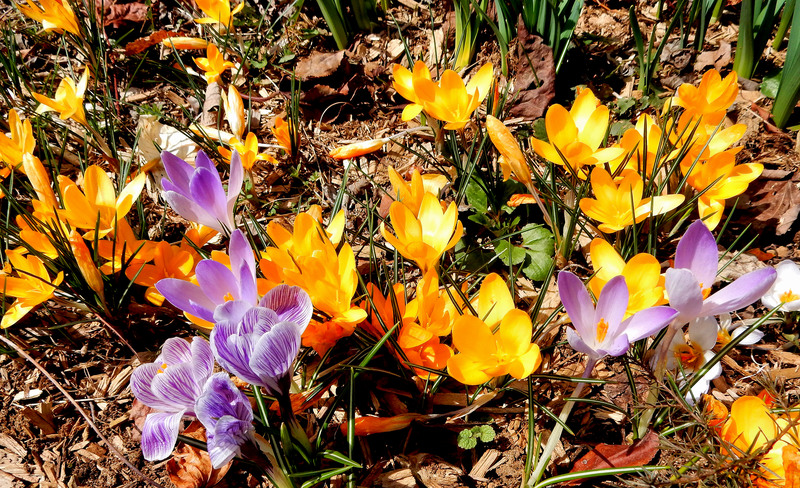 The weather’s gone up, down, around, and upside down like a roller coaster this week, but the crocuses — which often bloom as early as mid-February here in the mid-Atlantic region — are finally blooming. 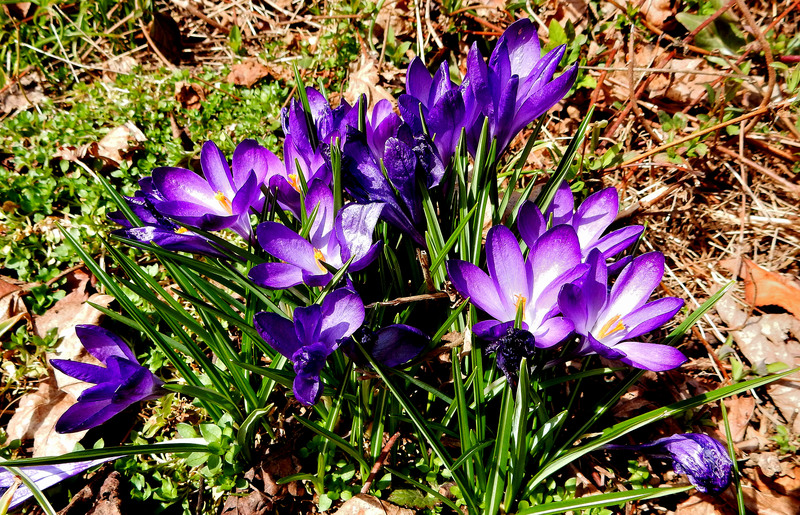 To celebrate spring’s appearance, we’ve gathered a variety of blog posts for your enjoyment. Those days when the weather gets gloomy provide a great time for taking out a book and enjoying an imaginary journey to another place. If those of us who are writers hadn’t enjoyed reading, we would never have taken up writing. Penny Sansevieri lists 10 things readers can do to help their favorite authors. Reading is a vital component of education. So are libraries. Grace Hwang Lynch discusses libraries and English language learners. Eric Schulmiller suggests children’s books for the one per cent. The Book Zone interviews middle grade author Anthony Horowitz. If you plan to attend a writers conference, you might want to check out the Writer’s Relief Staff’s suggestions for stress-free mingling strategies and conversation starters for writer’s conferences. Sometimes life makes it hard to accomplish what you want, whether that’s writing or other tasks. Rachel Andrew speaks about being creative while in pain — working with chronic illness, and author K. S. Crooks discusses how being an author is like performing martial arts. Characters seemed to be on the minds of many bloggers this week. Robin Patchen gives some good tips about showing characters’ emotions, while KM Weiland suggests a quick way to help show and not tell what your characters are feeling, and Amanda Patterson relates 37 ways to write about anger. James Scott Bell discusses how to show what your characters think. Angela Ackerman discusses using a special character talent — talking with the dead. Karen Woodward relays some of Dan Harmon’s tips on how to create a protagonist the audience will relate to. The Script Lab discusses how to write a coherent character sheet. Christine Frazier makes a case for blurring the lines between good and evil characters. Two bloggers give us pointers on point of view. Lisa Gail Green gives some tips on writing multiple POV novels, and Ava Jae provides suggestions on how to differentiate your POVs. If you have concerns about other elements of writing, K. M. Weiland discusses how to ace the climactic moment in your novel, Jody Hedlund explains how plot is like a 3 strand braid, editor Rachel Starr Thomson explores weaving in the backstory in fiction, and Stephen Woodfin considers the crazy thing called voice in writing. Bessie Blue relates 4 storytelling techniques stolen from TV. Monica Clark examines how everyday objects can help authors write better stories. Lizzie Davey suggests 7 tools for developing fresh story ideas when you’re stuck. Diane Holcomb writes about how resistance can help your writing. Monica Gallagher tells us 5 things she learned writing part-time princesses. For those writing legal fiction, Judge S. V. Brown gives a behind-the-scenes peek at sitting on the bench. If you’re like me, you often wish there were more hours in the day. Since there aren’t, Kristin Nador lists 10 pointers for organizing your day for maximum writing productivity, Ryan Holiday shares the 7 strategies that helped him write 7 books in 3 years, and Ruth Harris presents the 10 commandments of highly productive professional authors. Agent Susan Hawk presents the TBA Monthly Wish List — maybe you have written one of the books these agents are looking for. Agent Janet Reid answers a question about the protocol in regard to questioning your agent about missed deadlines and answers a writer’s question about including tangled sheets in non-romance genres. Stacey Lee gives 10 reasons why you should write historical fiction. Jeff Goins explores the science behind shareable content and what makes it interesting. Linda White presents 50 fabulous ways to kickstart publicity. Penny Sansevieri gives some pointers on how to improve Amazon book description and metadata. Judith Briles explains that your author and book marketing formula starts with you. Debbie Friez offers 12 tools to help you optimize your social media marketing results. Matt Kaye discusses what you need to know about crowdfunded publishing. Libby Fischer Hellman talks about how to go about getting your book translated for indie authors, and Debbie Young goes over how and why to make your indie author website mobile responsive. Guy Portman gives us 7 literary one-hit wonders. A picture book about a penguin who flies to the tropics with the aid of a kite is named the winner of the 2015 Waterstones Children’s Book Prize. The desk where Charles Dickens wrote Great Expectations is finally on public display, thanks to a £780,000 grant. “Writing, at its best, is a lonely life.” Listen to Ernest Hemingway’s 1954 Nobel Prize acceptance speech via Maria Popova. Teresa Jusino relates how Neil Gaiman horrified his daughter in a Reading Rainbow interview. That wraps up this week’s collection. Enjoy! Thanks for the shout-out, Authors! You’re welcome, Libby. Your post gives useful information about something many of us don’t think about and should. Thanks, Kristin. We liked your ten pointers for organizing the day, something we could all do better!